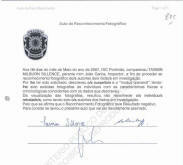 Deposition of T. M. S., aged 12, a resident in Luz, on the 9th of May 2007, 4 p.m.
"Comes to the process as a witness. 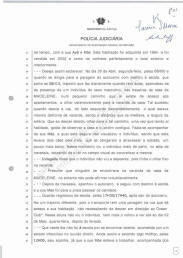 Understands the Portuguese Language, as she has been living in Portugal since the age of two months (approximately eleven years ago). Still, an interpreter is present [name withheld]. 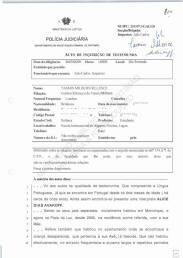 Her parents are separated, she initially resided in Monchique, and now in Praia da Luz, since 2005, at the address that is stated above, with her Mother. She also mentions that she lived in the apartment where the missing child was staying, that belonged to her Grandmother, who is already deceased. That she didn't actually reside there, but spent extensive and repeated periods of time there, with her Grandmother and her Mother. The apartment was bought in 1994 and sold in 2002 and therefore she knows it perfectly, both from the inside and from the outside. She wishes to clarify. On the 30th of April, Monday, at around 8 a.m. and when she was walking to the bus stop for the school bus that leaves at 8.15, a path that she walks every day when there is school, she noticed the presence of a male individual, at the back of Madeleine's house, on a little pathway to the apartments that exists there, looking in an ostensive manner at the house's balcony. This happened when she was walking down the street, on the left side, which was right in front of the balcony, and the distance between them was the width of the road. That when she was walking down she decided to look at the pathway, because as she lived there, she likes to watch the house and the neighbouring garden. She walked with her mother, that she is certain she didn't see the man, and she was walking two dogs on a leash, which forced them to cross the road, a bit further down. At that moment she saw the man more closely, as they crossed the road, and then lost visual angle when they finished crossing. 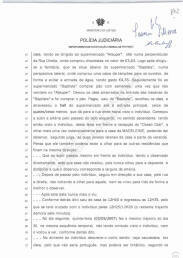 Says that the man didn't see the deponent, because he was staring at the balcony. 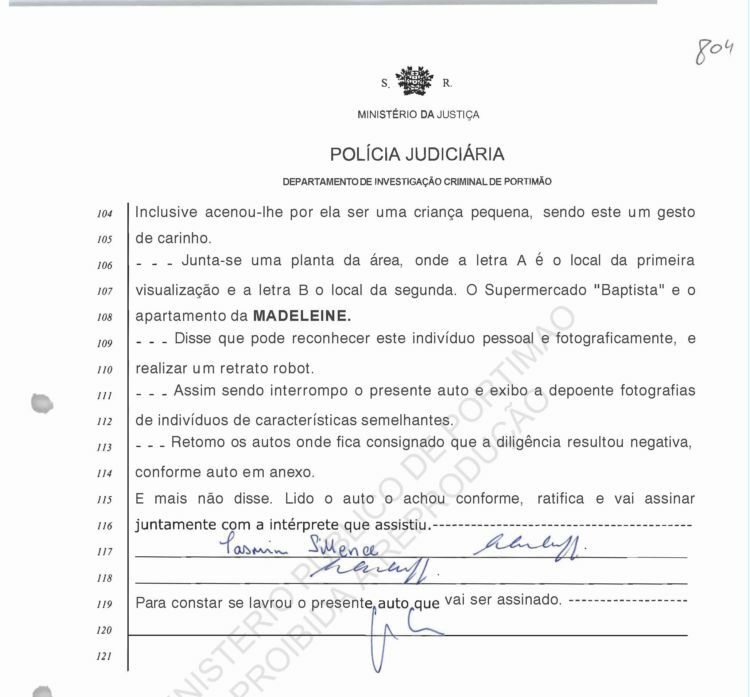 She presumes that nobody was on Madeleine's house's balcony, but she cannot state it beyond doubt. After crossing, she caught the bus and went to school and her mother went on the beach to walk the dogs. When she returned from school, at around 5.30/5.40 p.m., after leaving the bus, she walked a different path, because the bus has a stop on the street where she lives, and therefore she doesn't need to walk down to the 'Ocean Club'. She didn't see the man again at that time, nor did she see him again until the 2nd of May, Wednesday, after the bank holiday. That on that day she didn't go to school because she was sick with an infection in her right ear. Still, and feeling somewhat better, at around noon she left on her own, as her mother was at work, with the dogs, and went to the 'Alisuper' supermarket which is located on a perpendicular to Rua Direita, where she bought chocolates for €3,63. Then she walked to the pharmacy, which is located below the 'Baptista' supermarket, on a lateral perspective, where she bought a box of earplugs, to prevent water from getting in, and spent €4,55. Then she went to 'Baptista' supermarket to buy cereal bread, because they don't sell it at 'Alisuper'. She left the dogs tied at the back entrance of 'Baptista' and went in to buy the bread. She paid, left 'Baptista', collected the dogs, and walked across the supermarket's hall to the main entrance, approximately four/five metres, which exits to the street where she had seen the man. She started walking up the street on the left side going up, and saw the man, this time in front of the 'Ocean Club's' reception, once more looking at Madeleine's house in an ostensive manner, where he stood he could observe, she thinks, the house's two side windows and part of the balcony. She thinks that he could also be looking at the other residences that are located in the same direction. That as she was walking up she walked right in front of the man, and observed him directly, an action that he did not retaliate, because he never looked at the deponent. The distance that she observed him from was the width of the road. After walking by the individual, she walked towards her house, through the road to the right, and never looked back to the man, or turned around to observe him better. After that day she never saw him again. As she said before, she left home at 12 p.m. and returned at 12.35 p.m., which means she crossed with the man at around 12.25/12.28 (the rest of the walk takes about seven minutes). On the next day, Thursday (0.305.2007) she walked the same path as on the 30th, at the same time, but didn't see the man, and never saw him again, as she said before. Concerning the individual, she describes him as being: Caucasian race, light skin, so he wasn't Portuguese, but could be British, according to her criteria. Approximately 180 cm tall, thin complexion, 30/35 years of age. Short hair, like shaved with 1 cm of length and fair, but she isn't sure if it was blonde because the sun was reflecting, and made perception more difficult. She didn't see the eyes because he wore dark glasses of black colour, with a structure of mass, a thick frame. He had a large forehead. Nose of normal size, a bit pointy and sharp. Large ears, close against the head. Mouth with thin lips, she didn't see his teeth. Chin pointing up, which stood out on a face that she describes as sharp. No beard, no moustache, a clean shave. No other special signs, apart from some small pimples on the face as a result of shaving. He looked ugly, even 'disgusting'. The first time that she saw him he was wearing a sports style jacket of thin black leather, with a zipper and several pockets also with similar zippers, in silver. She saw no label or inscription. The jacket was open, therefore she saw a white t-shirt, with a dark blue label near the waist, which she cannot identify very well. Trousers, she thinks, of blue jeans, worn out. Sports shoes (trainers) in black and grey, with a wave, maybe 'Nike' in a colour that she can't remember. The second time, he wore the same jacket, this time zipped up, because the day was colder than the first one, windy. She didn't notice the rest of the clothing. She says that on that day he had a pen with a string attached to one of his pockets. The first time, he was leaning against the wall against his hands, and the second time, he had his hands in his pockets. She never saw him with any photo camera, or any mobile phone, although the second time, he might have a device in his pocket, which she detected by the shape. 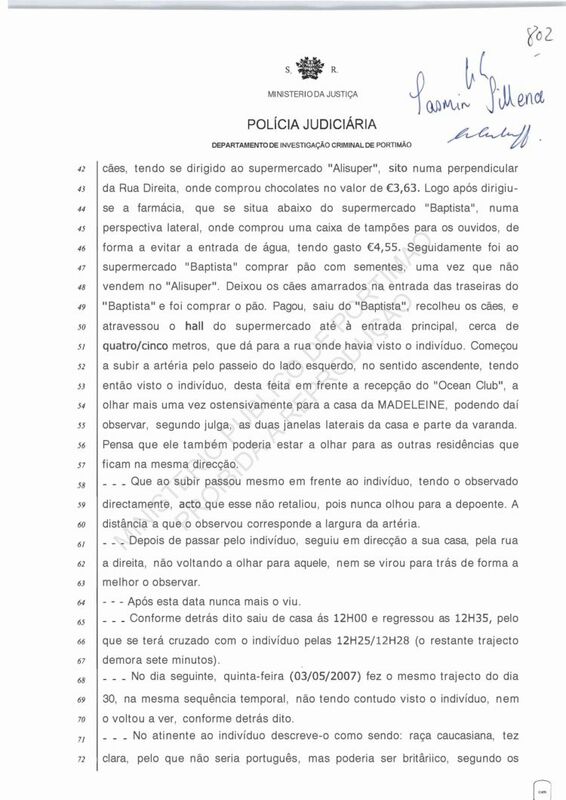 When asked, she says that she saw no vehicle near the man, only a few vehicles, but near the 'Baptista'. When asked she says that she saw Madeleine once, on a day that she cannot indicate, on the balcony where the man was staring at, the first time. She even waved at her because it was a small child, in a caring gesture. A map of the area is added, where A is the spot of the first sighting and B the spot for the second one. The 'Baptista' supermarket and Madeleine's apartment. She said that she can recognise the man both personally and photographically, and create a photofit. Therefore I interrupt the present deposition and show the deponent photographs of individuals with similar characteristics. I resume the deposition where it is consigned that the diligence resulted negatively, according to a report that is annexed. She didn't say anything further. 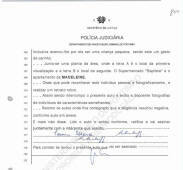 The deposition is read and approved, ratified and signed together with the interpreter that assisted. 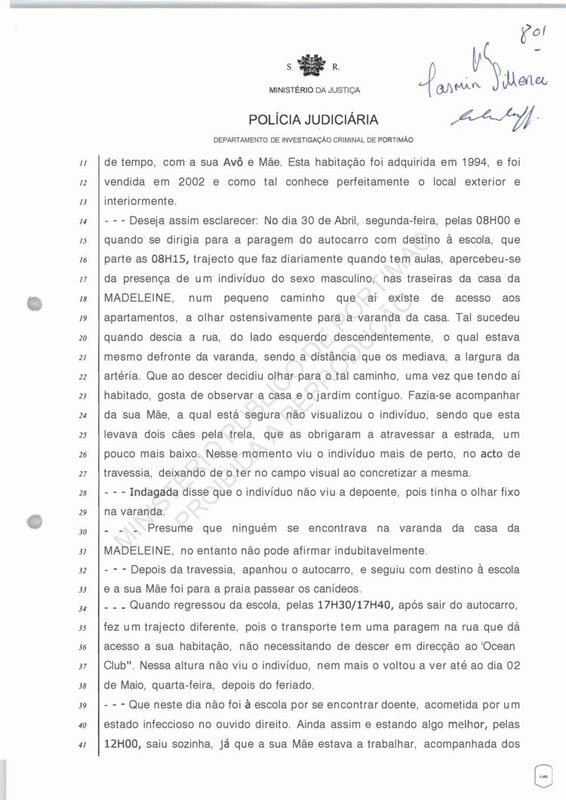 The present deposition is written and signed."